“ I have met persons who seemed to feel that it was a virtue to be found mourning, and complaining of their darkness and spiritual misery. O that God would enlighten them, that they might see how faith in a dying Saviour is the stimulating power of the Christian’s life! The broken body, the shed blood, of Him Who died on Calvary (Romans 6:1-6), will avail for him who feels his lost condition. O that those who are in darkness might see the love, the forbearance, the goodness, of our heavenly Father! I would repeat these precious Promises that are full of comfort, light, and hope ! Jesus is the only hope of the soul. By faith every soul may say with the Psalmist, “Whom have I in heaven but Thee? and there is none upon earth that I desire beside Thee.” Psalm 73:25. “Yea, doubtless, and I count all things but loss for the excellency of the knowledge (knowing) of Christ Jesus my Lord (John 17:3 and Romans 10:9-10) . . . For Whom I have suffered* (endured, allowed) the loss of all things, and so count them but dung, that I may win Christ . . .
“In order to be candidates for heaven we must meet the requirement of the law: “Thou shalt love the LORD thy God with all thy heart, and with all thy soul, and with all thy strength, and with all thy mind; and thy neighbour as thyself” Luke 10:27. But we can do this only as we grasp by faith the righteousness of Christ [appropriating it as our very own]. “But (for) now, in Christ Jesus . 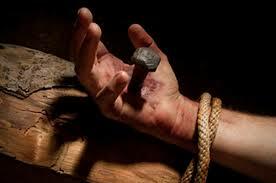 . . ye who sometimes (previously) were far off, are made nigh by the blood of Christ . . . For He is our Peace, Who hath made both God and man One (John 17:21), and hath broken down the middle wall of partition (Hebrews 10:16-23) between us . . .
“For the law of the Spirit of Life (John 4:24) in Christ Jesus, hath made me free from the law of sin and death . 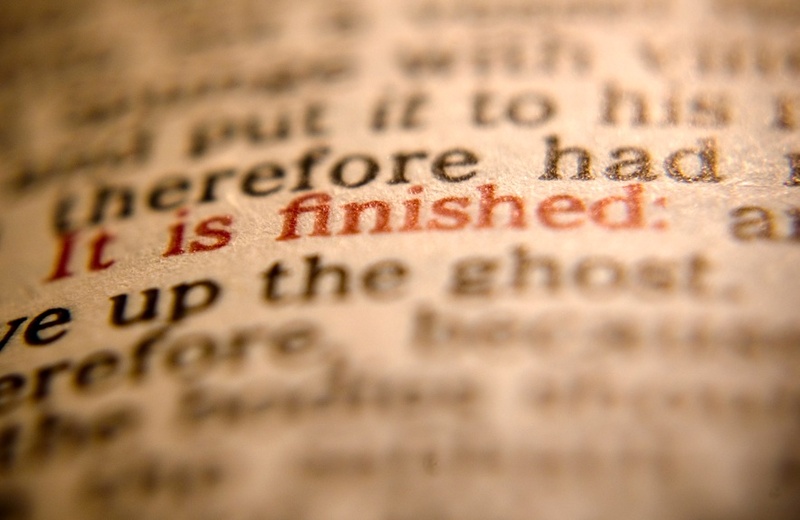 . . for the wages of even one sin is verily death (Romans 6:23) . . . For what the law could not do, in that it was weak through the flesh, God sending His Own Son in the likeness of sinful flesh, and in exchange for sin, condemned sin* (Daniel 9:24) in the flesh . . . This entry was posted in articles of faith, Bible Study, Blog, Testimony, Uncategorized and tagged 1888, 53, again, Assurance, atonement, begotten, Believe, Bible, Biblical, Blood, blot out, blotting, born, by faith, Calvary, captive, captives, Christ, Christian, church, clean, cleanse, cleansing, commandments, cross, darness, Deliverance, dragon, Ellen White, Ephesians, Eric Wilson, everlasting, Faith, fear, free, Freedom, Gald Tidings, GOD, gods, Gospel, Grace, grave, guilt, guilty, holiness, holy, HolySpirit, Hope, hopeless, hopelessness, iniquities, iniquity, Isaiah, Jehovah, Jesus, joy, justification, justify, Lamb of God, Law, Life, Light, LORD, Lord's, Love, loved, merits, messenger, Ministries, ministry, morning, out, pardon, perfect, perfection, promises, reconcile, reconciliation, redeem, Redemption, resurrection, revealed, Revelation, righteous, righteousness, Sabbath, sanctification, sanctify, Sarah Wilson, save, saved, shame, shed, sin, sinner, sinners, Son, sunday, transgressions, transgressor, trust, wash, washing, worthy, Yahweh, Yehushua, Yehuwah, Yeshua, YHWH by Isaiah Ministries. Bookmark the permalink.